Even when they have Leica's name slapped on them. It's not the camera, it's the photographer, right? Actually, sometimes it's both, as Huawei just proved. It recently posted a lovely image, complete with a lens flare, implying that it was taken with its photo-centric P9 smartphone. "The #HuaweiP9's dual Leica cameras makes taking photos in low light conditions like this a pleasure," says the Google+ post caption. The only problem? It was actually taken with a Canon EOS 5D Mark III equipped with a very pricey 70-200mm F/2.8 lens worth $4,500 total, as the EXIF data clearly proves. In retrospect, it's pretty obvious that this is not a smartphone photo. The 5D Mark III's shallow depth-of-field has blurred out the background, and the lens flare has a polygonal shape, another DSLR signature. As some Redditors have pointed out, the detail in the hair is also a bit too fine for a smartphone camera. Huawei technically never said directly that its smartphone took the shot, but it's strongly implied. It has since taken down the photo and given a statement to Android Police, saying, "the photo, which was professionally taken while filming a Huawei P9 advert, was shared to inspire our community. We recognize though that we should have been clearer with the captions for this image. It was never our intention to mislead. We apologize for this and we have removed the image." This isn't the first time that a marketing team has had this bright idea -- Nokia used "simulated" images to show off its PureView cameras back in the day. 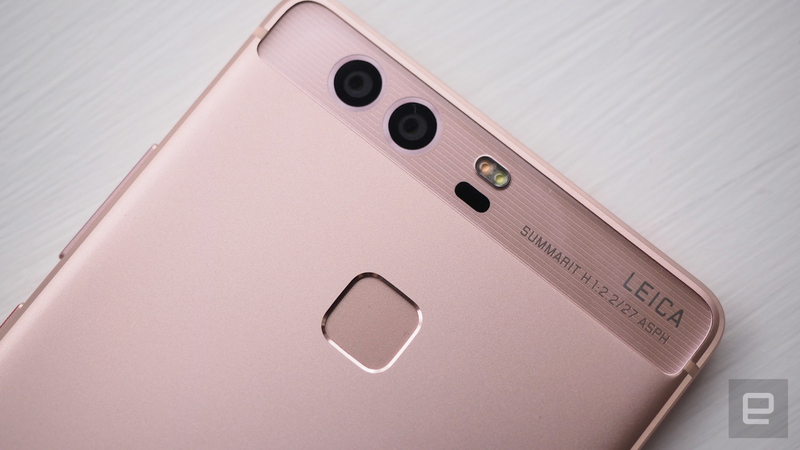 As one commenter pointed out, however, the least Huawei could've done was use a professional camera from its branding partner, Leica -- we hear they're pretty good.